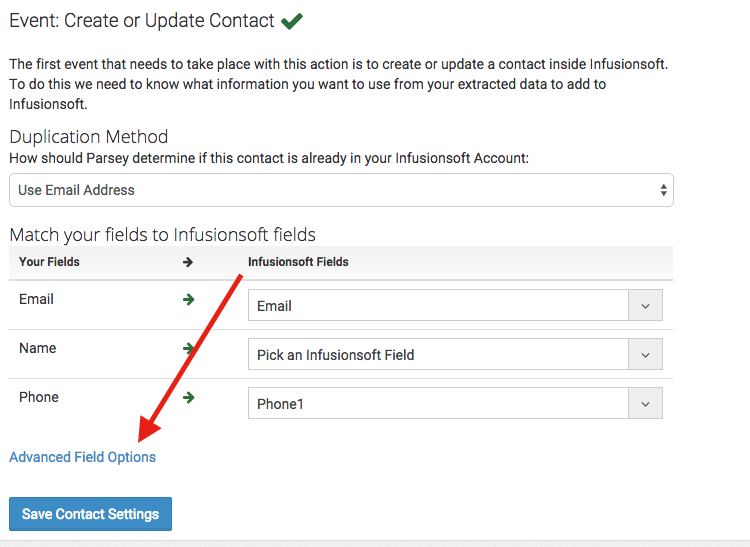 This tool is used if the field inside Infusionsoft is a date field. Like the birthday field below. 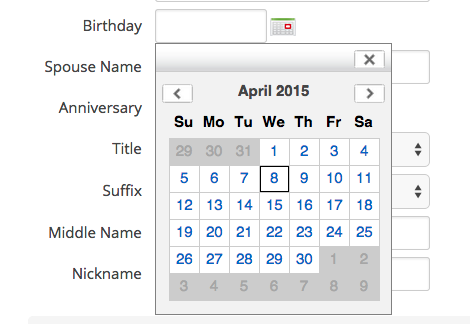 You will know it is a date field if you see a small calendar iCON the right of the field. Parsey can grab a various different kinds of date formats. If you have control over how the date appears then we recommend using YYYY-MM-DD HH:MM:SS (2015-04-06 13:55:23). MM/DD/YYYY also is good a good format as well. To use this tool go to "advanced field options" under your actions. Then go to the section labeled "Magic Fields" where you will see three boxes. 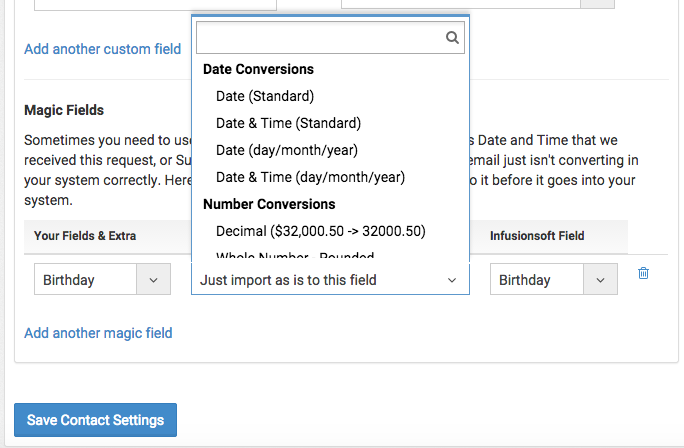 In the left box choose the Parsey field you mapped, in the middle choose the type of conversion (in most cases choose standard), and then to the right choose the date field inside Infusionsoft. There is no need to map that date field in the normal area above. Note: do not forget to hit save or you will have to do this over again.